At the beginning of the year, we discard the old calendar and flip pages on a new one. It marks the time for a fresh start and an opportunity for new beginnings. The new year brings with it; hope, joy and ideally another chance. Another chance to make right wrongs made, another chance to buy that new house that one did not buy, another chance to pay up that house/estate/car mortgage. Yes, another chance to do more, a lot more. January, most people are getting back to work from the Christmas vacations, students and children are going back to school. Activities and business come alive during this month. For some people, those who didn’t go slow on the spending during the festive period, it is a rough month that seems so long-never ending. For others, it is a time to reflect on the past year and focus on the coming months. For me, it is neither one nor the other. It is just another month to continue with our work. What does a new year mean for us as youth delegates in Akershus? It reminds us that we are half way through our mission, it reminds us that we still have time to influence positive change. The new year gives us a chance to do more, do better and reach further. And how will we do that? We will continue to engage with the youth at the district in meaningful ways. I am happy that we have started off pretty well. We had an activity at Skedsmo Red Cross. 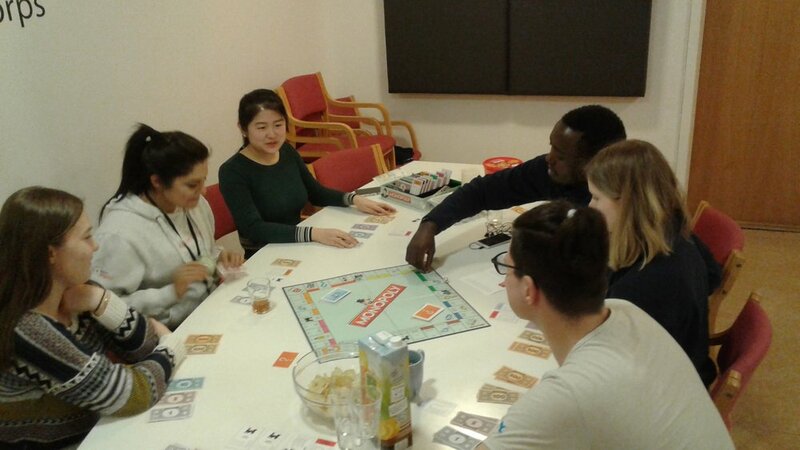 The youth organized a Kompis activity which was the first of the year. Sharing the successes and failures during the last year but mostly focusing on what to do this year. I would say, it was a productive first meeting accompanied by a game of monopoly. 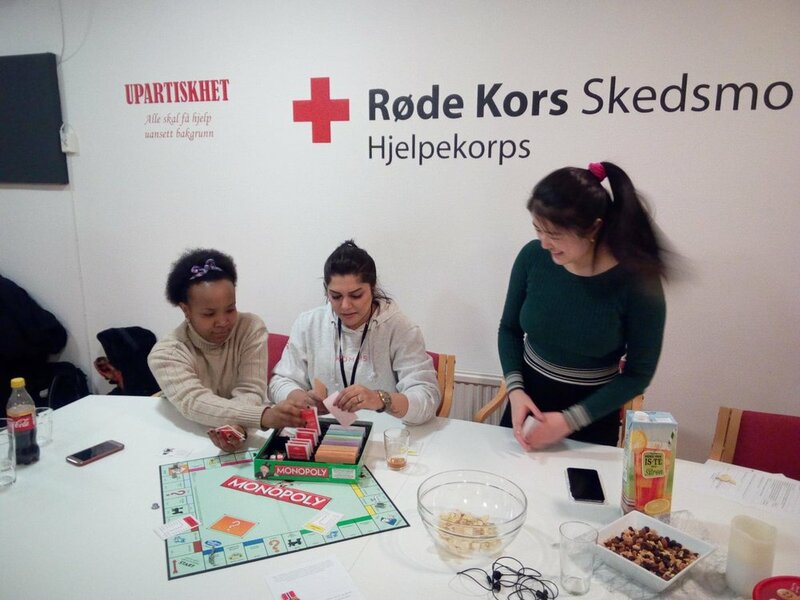 The second activity was with Asker Red Cross kompis youth group, their first activity this year too. Everyone was so excited to see each other. We talked about our experiences during the Christmas and New Year’s holiday. It was quite interesting to hear what everyone else did. Places visited, new recipes tried out, number of new friends met, the list is endless. There is something that comes with new beginnings: renewed energy and motivation. This is what we hope to take advantage of this coming period. We look forward to the amazing days we are going to spend with the youth.